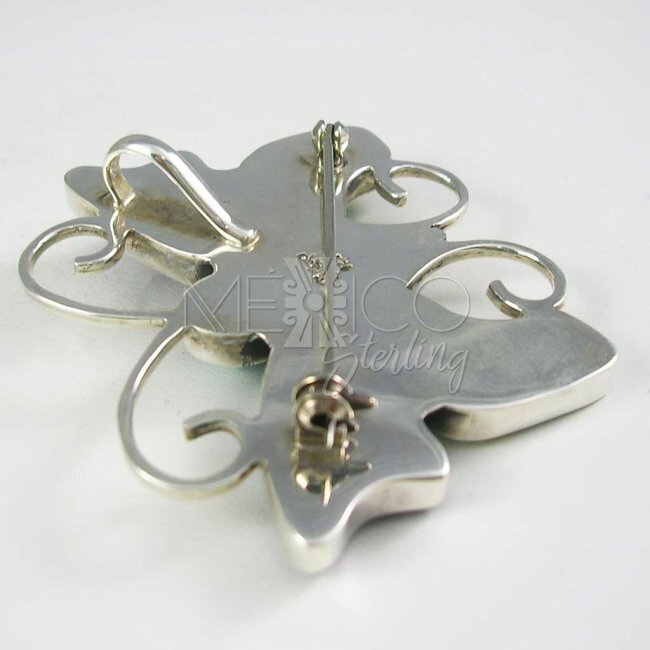 Happy Butterfly Mexican Silver Pendant-Brooch [PNBR3257] - $200.00 : Mexico Sterling Silver Jewelry, Proundly from Mexico to the world. 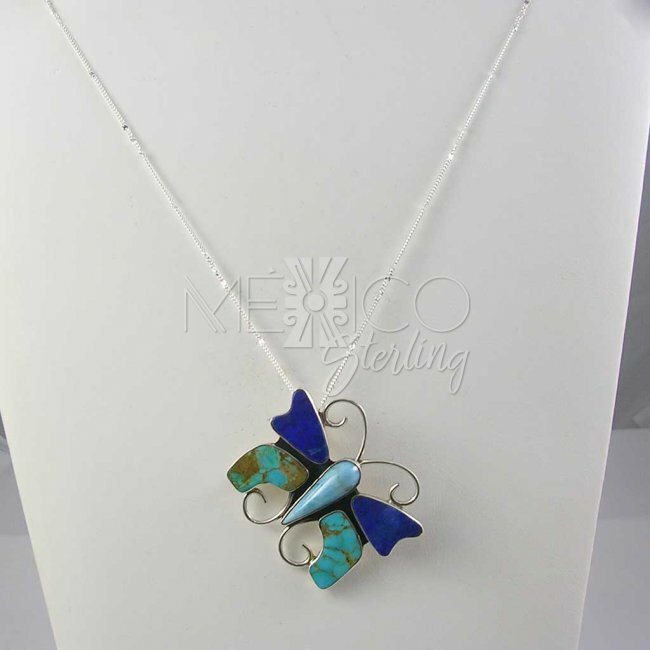 Dimensions: W: 2 1/8" L: 1 3/4"
This is quite a piece of jewelry. 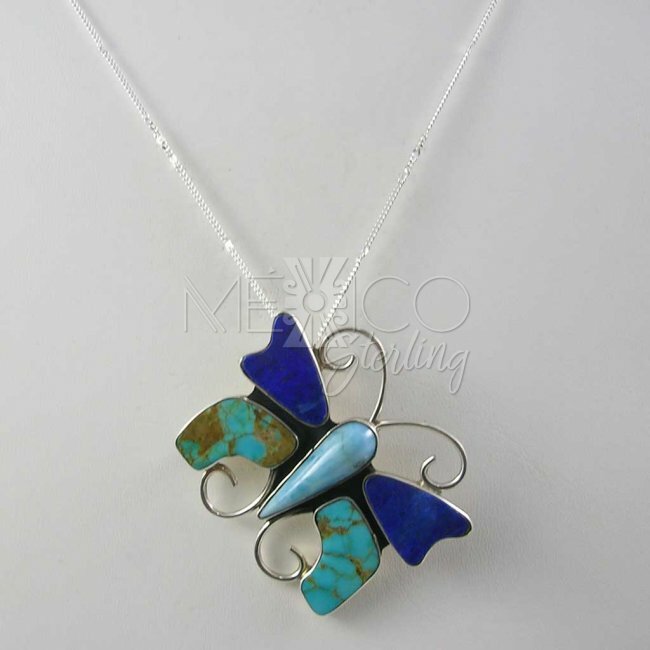 The silver and natural stones pendant-brooch is really a piece of art, created by Mexican artisans. 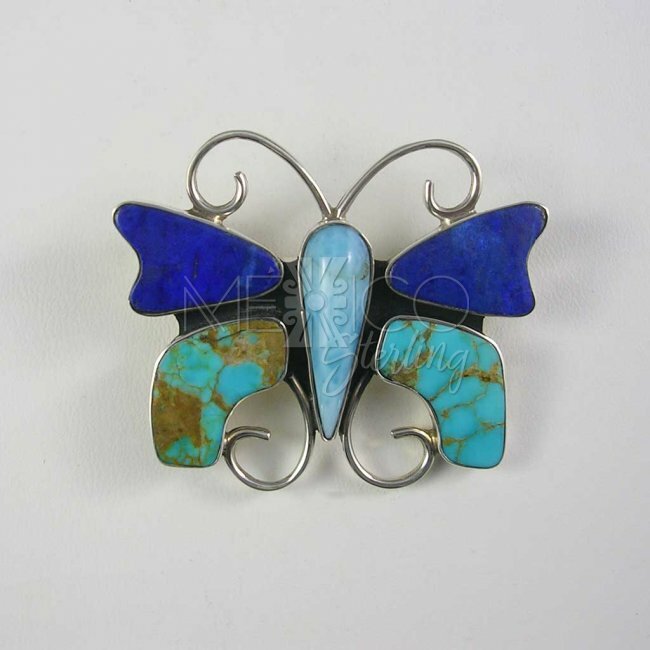 The whole piece is flawlessly finish from head to toe, The artist took great care in the whole workmanship, and the designer put together an incredible mix of details that make of this pendant-brooch a one of a kind ornamental piece. It was completely handmade and finsihed beautifully. 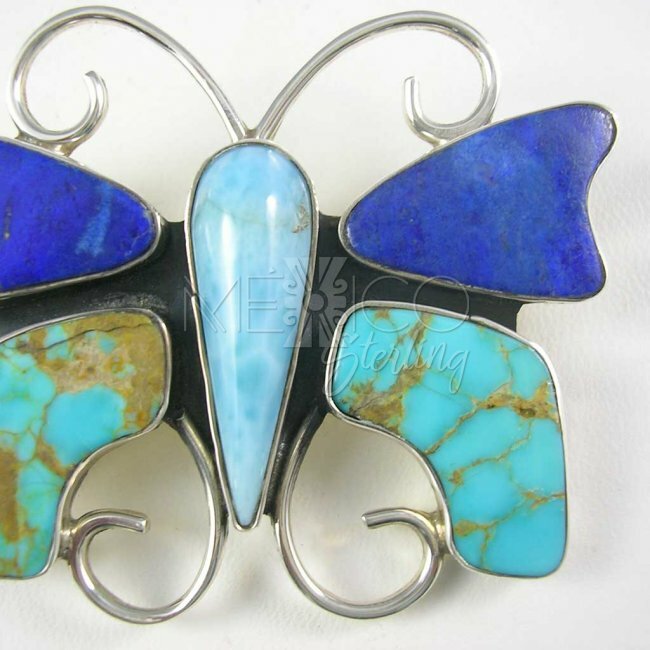 The inlay natural stones shown on this butterfly are Turquoise, Lapis Lazuli and Larimar, as I said before they are all natural, not just pieces of plastic or paste. 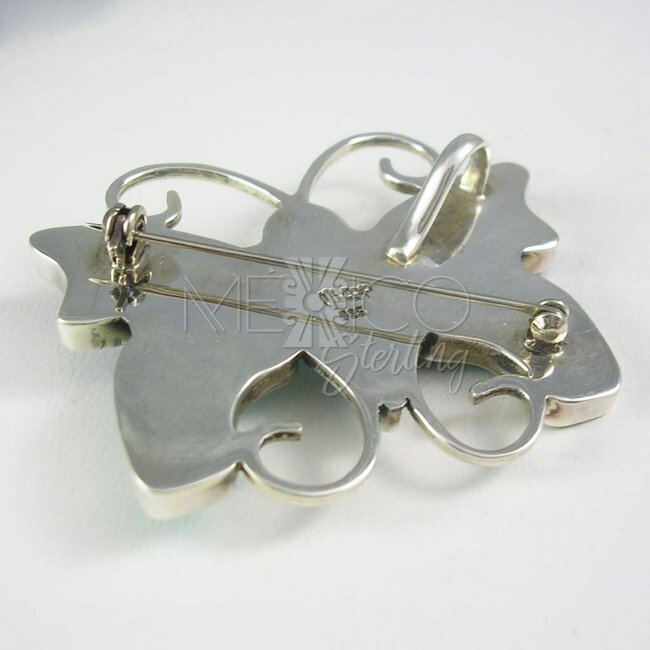 This is a pendant-brooch, with a hook and a pin on the back. 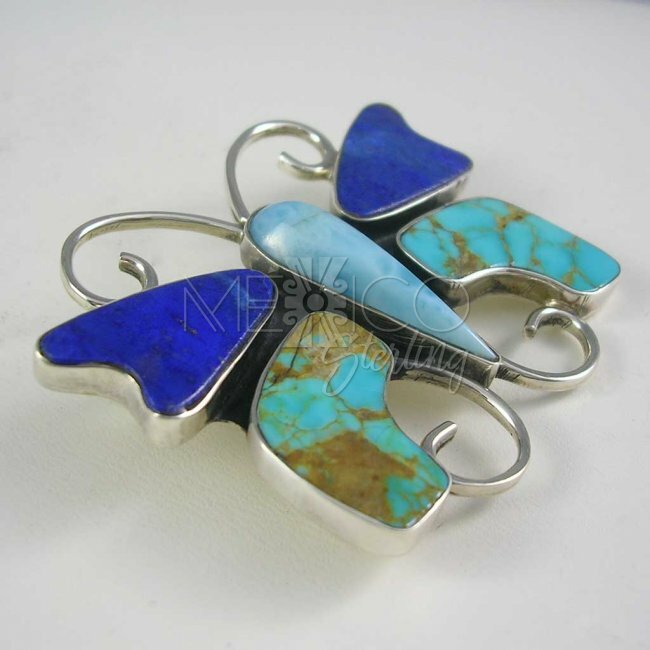 It also carries the artist's hallmark. 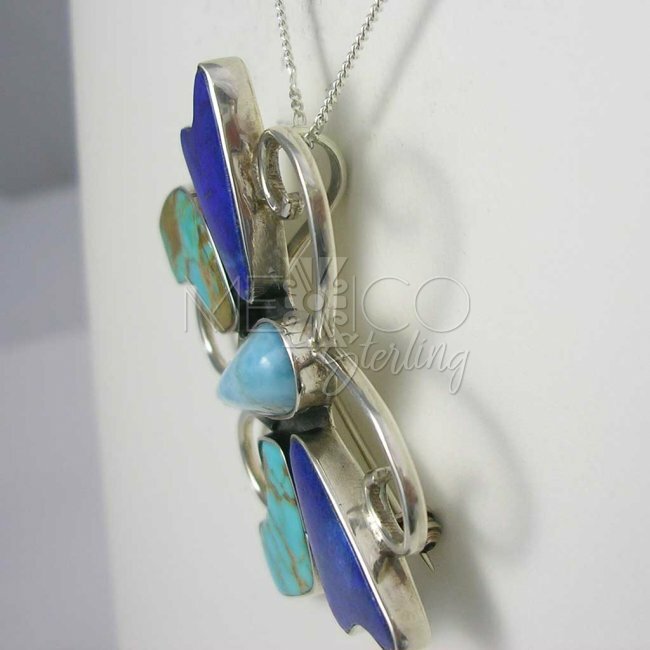 Please take a look at the additional photos, for more details on this beautiful piece.